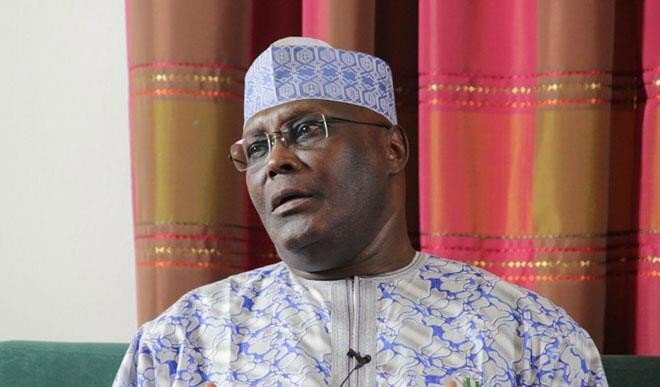 Former Vice President, Atiku Abubakar, has pledged to give 40 per cent of appointments in his cabinet to youths, if he wins the 2019 presidential election. Atiku made the pledge yesterday at the inauguration of the national and state executives of a pro Atiku group, Intellectual Think-Tank for Atiku (ITTA) in Abuja. The former Vice President, who was represented at the inauguration by the Chairman of All Atiku Support Group (AASUG) Mr Oladimeji Fabiyi, said: “Having identified the critical role of youths in the emergence of any leader, I pledge to give youths 40 per cent of appointments in my cabinet if elected as the president of Nigeria in 2019. “As a youth friendly leader who thinks and understands the feelings of youth, I urge them to give me the chance to make their dreams possible”. His wide, Mrs. Titi Abubakar, represented by Sen. Grace Bent, said that her husband deserved to be the People Democratic Party (PDP) candidate in the 2019 presidential election. She said Atiku was the right man with the political stamina to wrestle and return power back to PDP and Nigerians. In his acceptance, the National Coordinator, ITTA, Mr Theophilus Ohuoba, said that group would get down to work immediately. Ohuoba said that the zonal and state coordinators of the group would go back to their various bases to inaugurate their executives. He said they would move to the grassroots to mobilise delegates and voters to support Atiku’s candidacy.